The Safe and Active Community Program is a new initiative of the Injury Prevention Center at Children’s Hospital at Dartmouth-Hitchcock (CHaD) made possible by a grant from Kohl’s Cares. This exciting collaboration provides vital program support for local initiatives to promote safe and healthy activity for children and their families throughout New Hampshire. 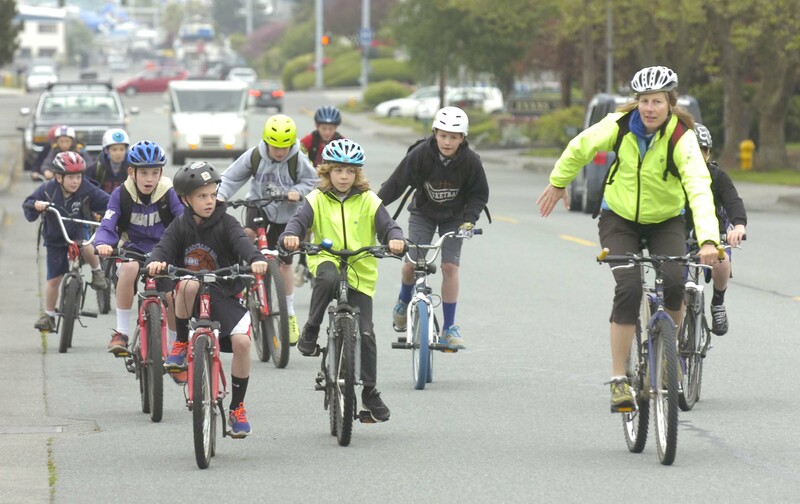 The grant is for programs that will encourage outdoor recreation for children and their families with a focus on bicycle and/or pedestrian programs. Any local organization with the capacity to engage members of their community is invited to apply. This could include police and fire departments, schools, service clubs, health care providers, and senior centers. The deadline to apply is January 2, 2018. To learn more, see the Safe and Active Community Grant Application or scroll below to see the program’s FAQ. Q: Who can apply for this grant? A: Any local organization with the capacity to engage members of their community is invited to apply. Police and fire departments; schools; service clubs; health care providers; and senior centers are all great examples. This is a great way to provide kids with the safety gear and resources they need to participate in outdoor activities, such as walking and biking. Q: What does the program provide? A: The program can provide planning assistance, informational materials and safety giveaways. If your event is selected, CHaD Injury Prevention Center staff will be available to answer your questions throughout the planning process, and can provide a speaker to address the group at your event if so desired. Depending on the type and focus of the event, available resources will include bike helmets and reflective gear (vest, zipper pulls and stick- ons). In addition, brochures and posters on the topics of bike and pedestrian safety, safe routes, and healthy eating will be available. Your program may also receive recognition in the state-wide Safe Kids Newsletter and your community may be highlighted on social media through the CHaD Facebook page. Q: What do we have to do to apply? Plan a community wide program that encompasses safe and healthy activity and will take place before August 1, 2018. The activity you choose should be based on what you believe would best engage your local community. Examples include hosting a bike rodeo, a bike safety presentation at a school, a pedestrian walk, or a health fair. Engage other community partners to take part in your event. Complete an evaluation within 30 days of your activity. A: Applications are due January 2, 2018. Applications will be reviewed by committee and notifications will be provided by email by February 1, 2018. Materials will be available for pick-up/delivery April 1. Your event must take place by August 1, 2018. Q: What the cost to our organization? A: The support materials we have outlined are provided at no cost to you. We ask that you provide your time, enthusiasm and community connections to make your event successful. Q: Is there a limit on the amount of materials we may request? A: Your request will be reviewed and demonstrable need will be considered. Towns/cities with larger populations may receive additional materials. Q: Does the activity have to be outside? A: The proposal needs to encourage outdoor recreation for children and families with a focus on bicycle and/or pedestrian programs. Q: Can we apply for a cash award? A: Cash awards are not available as part of this program. Q: Can we apply again next year? A: CHaD has received a two year grant in support of this program and there will be an opportunity for organizations that successfully complete the requirements in 2018 to reapply in 2019.